KENNYWAY GIVES NU LOOK FANS A REALITY CHECK ABOUT MIAMI MARKET + MORE HMI NEWS! *KENNY DESMANGLES GIVES NU LOOK FANS A REALITY CHECK! *WHICH MUSICIAN IS ALLEGEDLY LEAVING A POPULAR BAND? *ROBERTO MARTINO GIVES HIS MUSICAL ENDORSEMENT TO THIS BAND (GET DETAILS)! 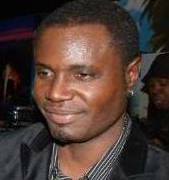 *THIS HMI MOVE IS NOT FOR ME SAYS CAREL PEDRE!